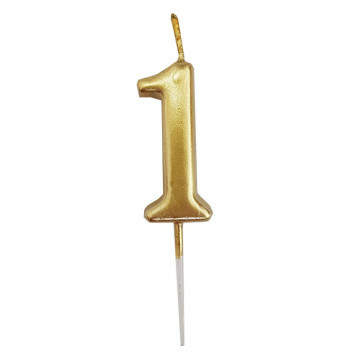 Any age and any milestone can be celebrated with these gorgeous gold number candles. With an elegant metallic finish, they’re great for matching with a huge range of themes. 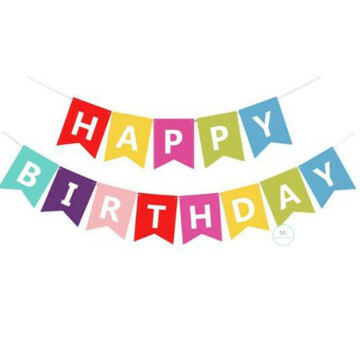 Simply pop into the top of your cake, make a wish and tuck in! Any age and any milestone can be celebrated with these gorgeous rose gold number candles. With an elegant metallic finish, they’re great for matching with a huge range of themes. Simply pop into the top of your cake, make a wish and tuck in! 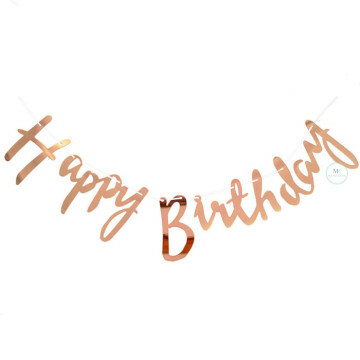 Use this stunning Rose Gold foiled Happy Birthday Backdrop at the birthday party. Hang with other decorations available at merryknot for the party set-up! The stunning Rose Gold foil shines bright and sure to be loved by all guests. Make the birthday party extra special by using the gorgeous scripted backdrop! 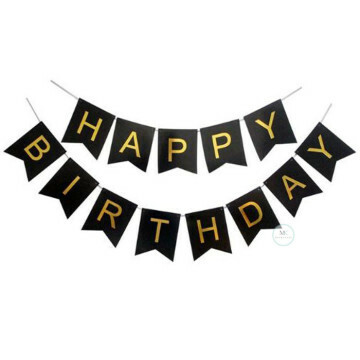 Use this stunning gold foiled Happy Birthday Backdrop at the birthday party. 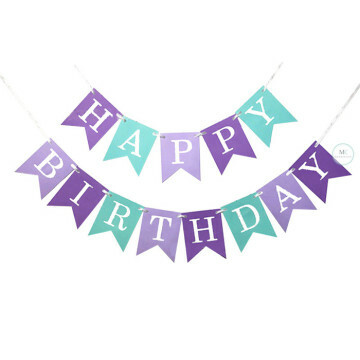 Hang with other decorations available at merryknot for the party set-up! The stunning gold foil shines bright and sure to be loved by all guests. 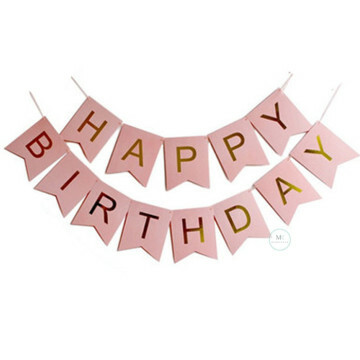 Make the birthday party extra special by using the gorgeous scripted backdrop! This is the perfect birthday party decoration to look for and are perfect for any age! Made of solid cardstock material with gold letterings. You may use it on walls, tables, bannisters and many others. 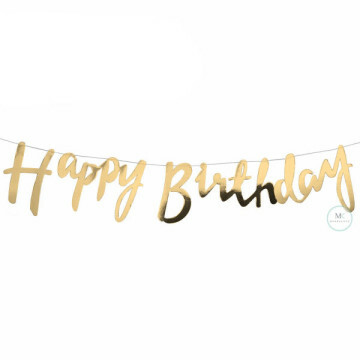 Made of solid cardstock material with gold letterings, this birthday banner is ready to hang and add the right touch of glamour to your birthday party . You may use it on walls, tables, bannisters and many others. 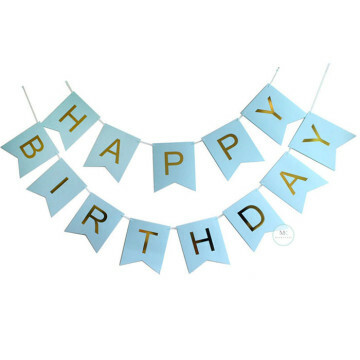 Say Happy Birthday loud and clear with this "Happy Birthday" banner! Made of solid cardstock material with whiteletterings and ready to hang on walls, tables, bannisters and many others. 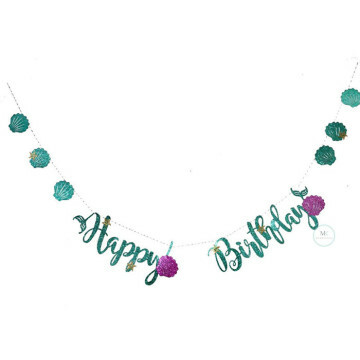 Perfect for mermaid theme party with this "Happy Birthday" banner! Made of solid cardstock material with white letterings and ready to hang on walls, tables, bannisters and many others.